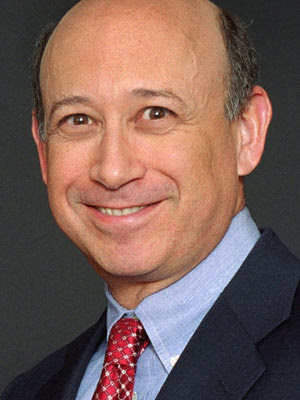 Mr. Blankfein has been our Chairman and Chief Executive Officer since June 2006. Previously, he had been our President and Chief Operating Officer since January 2004. Prior to that, from April 2002 until January 2004, he was a Vice Chairman of Goldman Sachs, with management responsibility for Goldman Sachs' Fixed Income, Currency and Commodities Division (FICC) and Equities Division (Equities). Prior to becoming a Vice Chairman, he had served as co-head of FICC since its formation in 1997. From 1994 to 1997, he headed or co-headed the Currency and Commodities Division. Mr. Blankfein is not on the board of any public company other than Goldman Sachs. He is affiliated with certain non-profit organizations, including as a member of the Harvard University Committee on University Resources, the Advisory Board of the Tsinghua University School of Economics and Management and the Governing Board of the Indian School of Business, an overseer of the Weill Medical College of Cornell University, and a director of the Partnership for New York City and Catalyst. Kathryn S Wylde Fix the Debt, NYC DNC 2016 Host Committee, The Partnership for New York City, Inc.
Dave Barger Fix the Debt, NYC DNC 2016 Host Committee, The Partnership for New York City, Inc.
Lee Scott School of Economics and Management Tsinghua University, The Goldman Sachs Group, Inc.
John L Thornton School of Economics and Management Tsinghua University, The Goldman Sachs Group, Inc.
Vikram S Pandit School of Economics and Management Tsinghua University, The Partnership for New York City, Inc.
Rajat K Gupta Cornell Medical College, The Goldman Sachs Group, Inc.
Charles E Phillips Jr NYC DNC 2016 Host Committee, The Partnership for New York City, Inc.
James P Gorman Fix the Debt, The Partnership for New York City, Inc.
John J Mack School of Economics and Management Tsinghua University, The Partnership for New York City, Inc.
John A Thain The Goldman Sachs Group, Inc., The Partnership for New York City, Inc.
9 CEOs who went from "rags to riches"
Brave New Foundation's Who are the One Percent? Contenders for CNBC "First 25"